Visual: (cellared for 1 year). Pours dark brown with a smallish 1mm lasting creamy head, lots and lots of singular steady micro streams. 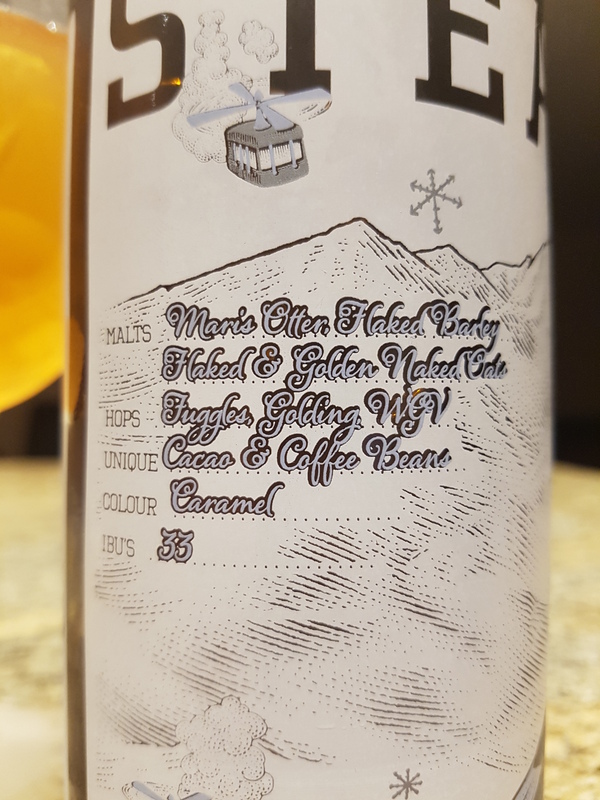 Summary: Not terribly complex but at least the 9% ABV is well hidden. The sugars become heavy on the palate after half a glass – there’s not enough depth to round it out. Visual: (cellared for 1 year) Pours clear golden orange with no head, just a very small spotty island and few uneventful bubbles here and there, large bits of sediment in the 2nd pour. Uninspiring. 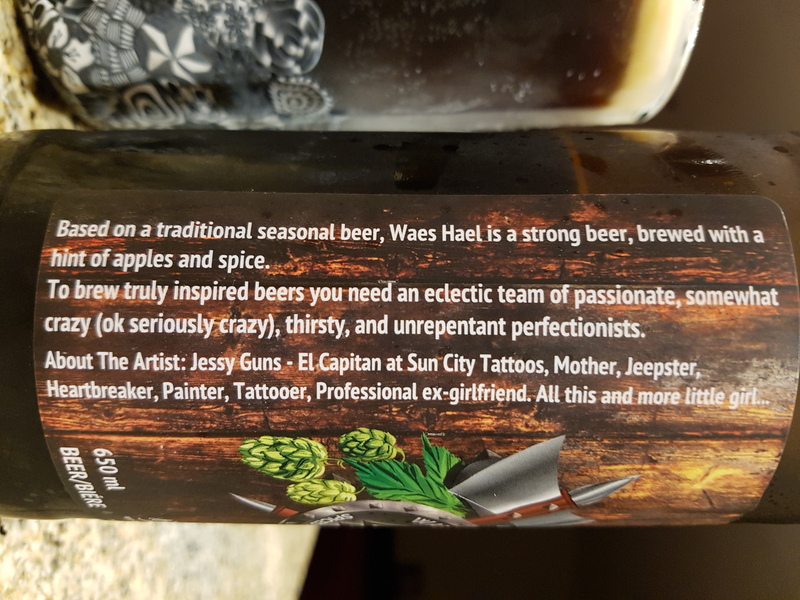 Summary: Not quite the stout I was expecting. 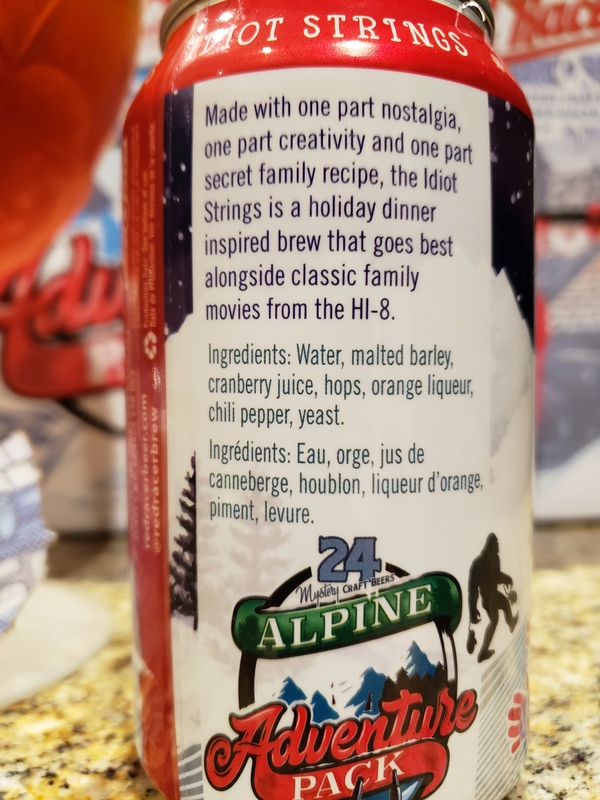 I find the sourish roast coffee notes not meshing smoothly with the t00 light of a barley malt base, making it taste like a harsh cold brew coffee. 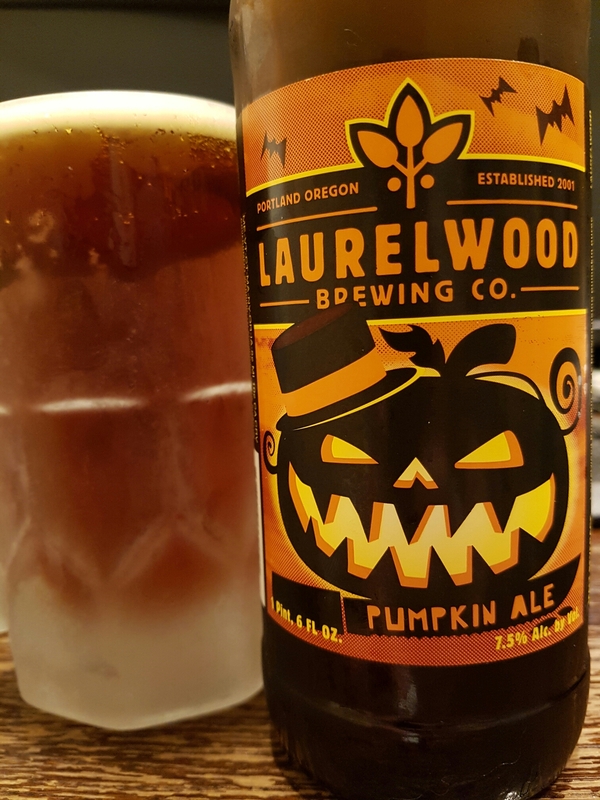 Just a bit above average, better coffee ales out there. 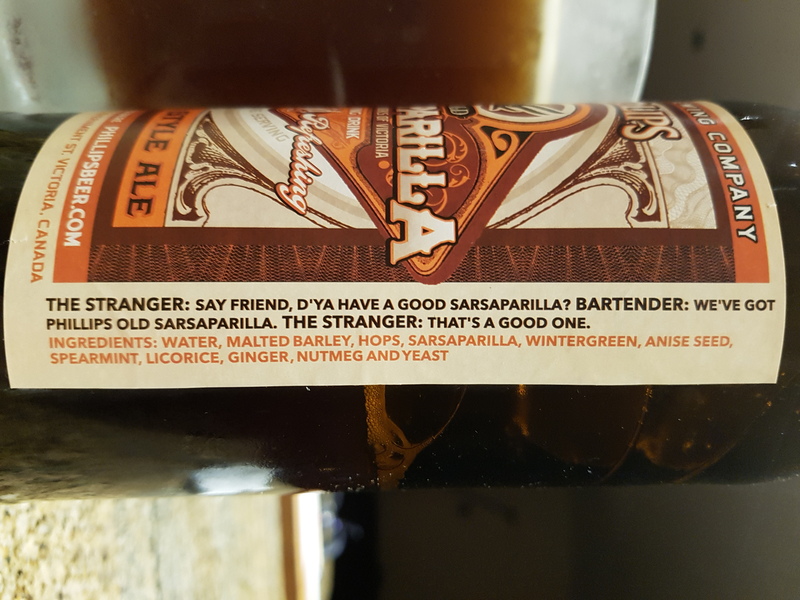 “The stranger: Say friend, d;ya have a good sarsaparilla? Bartender: We’ve got Phillips old sarsaparilla. Visual: (cellared for 5 years). Pours translucent medium dark copper brown with a dissipating 2mm head, ring and island retention, singular fast loose streams. 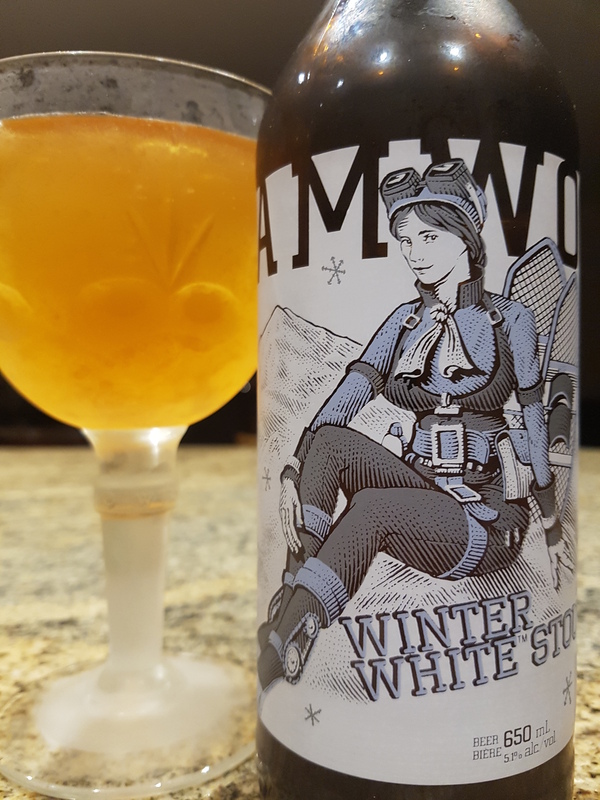 Finish: wintergreen-sarsaparilla exhale, nutmeg, anise seed-licorice, subtle hops, flat no carry residual thin barley malt. 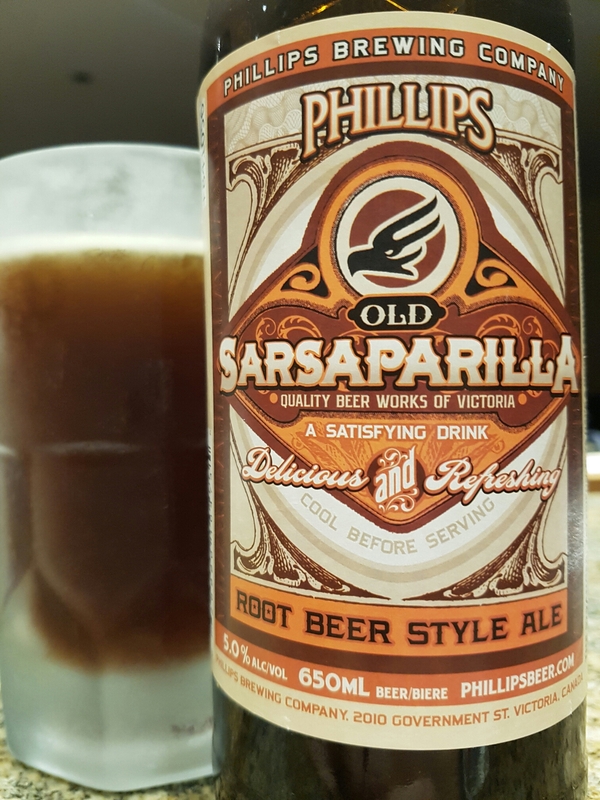 Summary: The initial sips are somewhat disappointing in that you get mainly a toffee barley malt bomb without the accompanied sugar rush you usually get in a beverage label “sarsaparilla/root beer”. 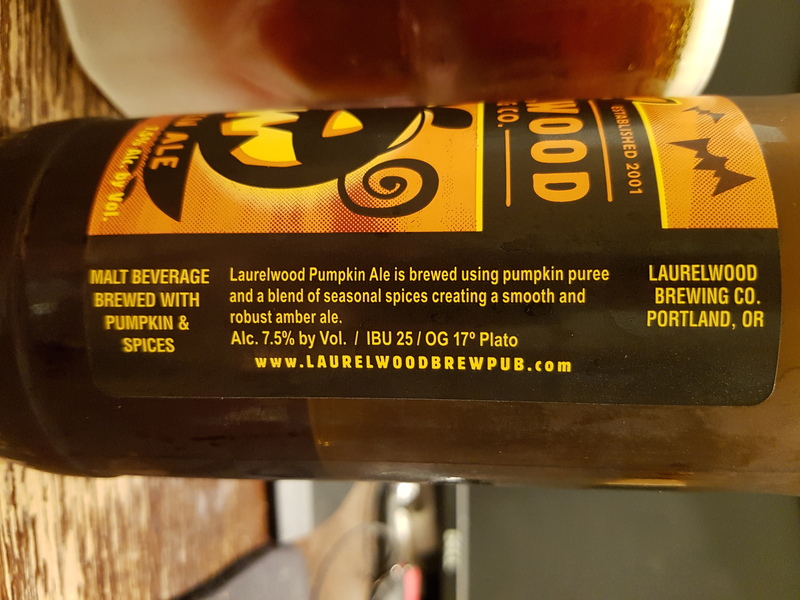 Most of the spices are discernible at the finish, quite nice; I’m not liking the thin watery mouthfeel and lack of carry of the barley malt though. Visual: Pours pale golden orange with a smallish lasting 2mm head, decent fine micro retention, clusters of very fast active streams. 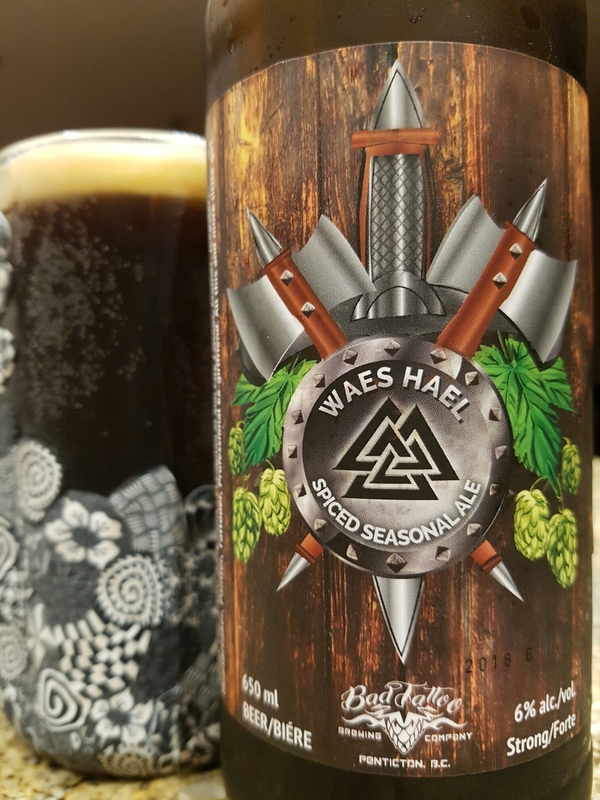 Summary: Wow this is a fantastic spice/herb beer. 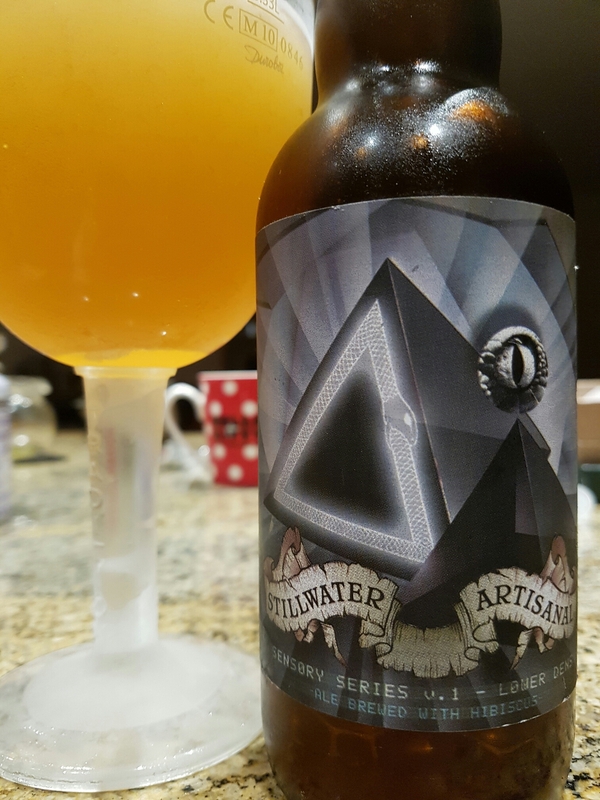 Super sippable, seamless transitions, good complexity and depth along with a smooth mouthfeel. Every sip offers a different texture/taste depending on what you focus on. Although it was a bit $$$, I’m glad I tried it. Visual: Pours clear copper brown with a very small dissipating head, just a touch of lacing, thick ring of retention, steady spread out clusters of activity. Finish: residual cloying sweetness, soft hopped pie spiced bitterness mixed with toffee’d barley malt. 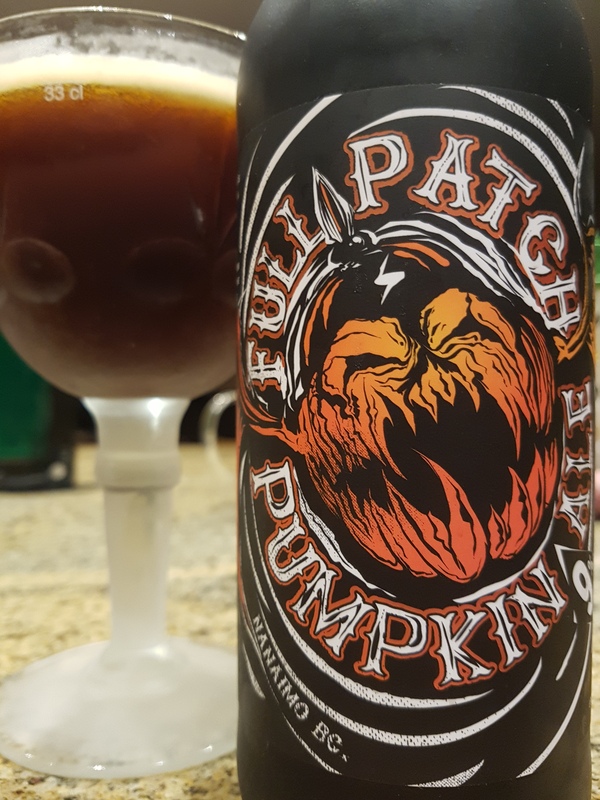 Summary: A ton of pumpkin pie spices but an overly sweet drinking experience halfway through the bottle. The lingering spices at the finish leaves a somewhat unpleasant gag reflex, for me at least anyway. 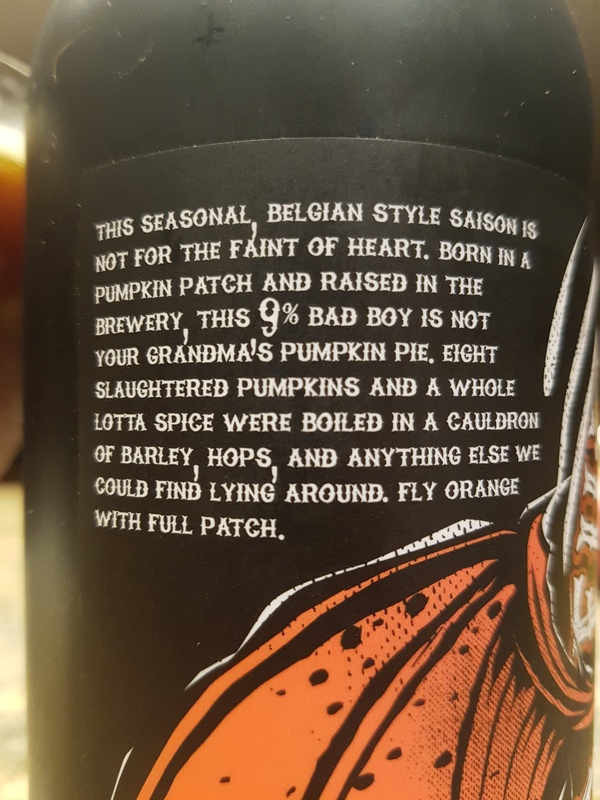 Summary: Much like a spiced pumpkin ale but brighter in mids. A tad cloying in the finish, good body and depth. Big spices.